What Are The Uses of Natural Stones In Everyday Life? Natural stone is widely used in the construction industry. Be it any category they fall in, their properties which include toughness, resistance to various stress types, colour, durability and the appearance have made them the favourite construction material of human since thousands of years. That is the reason, the application of natural stones has always remained diverse. Traditionally, they were used in masonry, decoration as in stone craft, indoor flooring, roofing, etc. with the trend continuing even today. Using them in veneering for stone wall cladding and facades is actually an element of modern architecture which has transformed from the traditional masonry. But what we are going to explore next reflects the endless possibilities of incorporating natural stones in everyday life! Natural stone is popularly known for its aesthetic appeal. Thanks to its incredibly distinct varieties that exist in nature including the colour, look, texture and design. Nearly unlimited combinations can be obtained, opening doors to the application in masterpieces which are part of our daily life. Wire wrapping - This is a beautiful art form that gives a vintage feeling. Wire wrapping is the art of making a stone pendant using a wire. Flat stones are commonly used. However, chunky stones can also be a preferred choice. Soutache jewellery - This is French art where the natural stone is used to embellish clothing. A variety of rocks combined with colourful beads to form a style statement. Embedded jewellery- As the name implies, here the stone is embedded into another material such as wood, polymer clay, plastic or metal. This art gives birth to jewellery including necklace, bracelets, earrings and more. Tools made from natural stone is a technique which came to existence around 2.6 million years ago. The early humans crafted stones into sharp stone flakes, stone cores, hammerstones, handaxe, and other large cutting tools. As human began to evolve, the stone craft began to advance. In the middle stone age, rock was used to make spears with handles, stone awls which may have been used to perforate hides, and scrapers that are helpful in making hide, wood or other materials. As years passed, people began experimenting with diverse raw materials such as ivory, bone, antler but haven’t stopped using stone for designing tools. The level of craftsmanship for the application of natural stone enhanced. Nothing can enhance the beauty of a backyard or garden like a natural stone fountain. They are the best elements to boost the aesthetics of the landscape while adding a stress-relieving feature. Depending on the design, they can be installed indoors as well as outdoors. Choose the right shape, size and style which becomes the great compliment of home and garden. One can even choose for cobbles and pebbles to intensify the magnificent beauty of the fountain. Here are some stone fountain ideas to add a stunning feature to any property. Fish fountain - Instead of opting for an aquarium, one can have a more natural stone ecosystem for fishes. However, when going for a fish fountain, focus on its maintenance with some all-natural algaecides and clarifiers becomes a must. Stone waterfall with a bridge - This kind of a fountain system makes a striking centrepiece for a big garden space, which is never overlooked. A stone slab bridge is placed over a burbling brook giving a soothing experience of being close to nature. The stone craft of boulders - While this is not a water fountain, stone boulders arranged in an artistical manner can be a great style statement for any garden. Bubble rock - This is a stone fountain especially attracting birds for drinking and bathing. 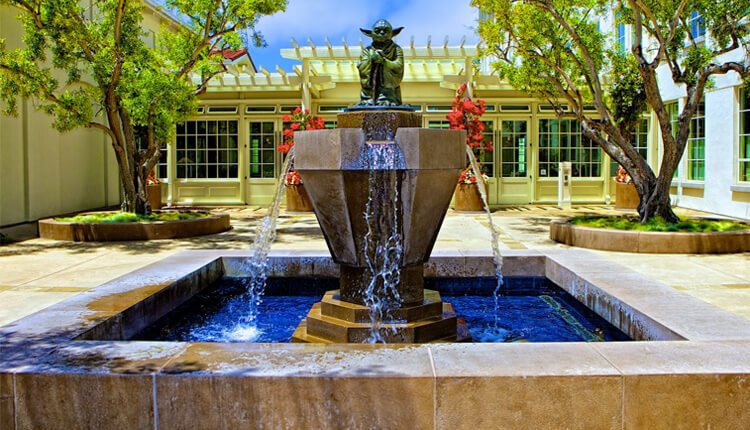 The sound of water trickling down the fountain makes it easy for the birds to locate the spot. Sculptures and artefacts crafted from natural stones are one of the most significant sources that have provided the historical knowledge to modern man. Even the most advanced technological inventions have failed to emulate the slightest beauty reflected by these masterpieces. Nevertheless, the stone crafts that are created with human skills even today are definitely eye-catching. 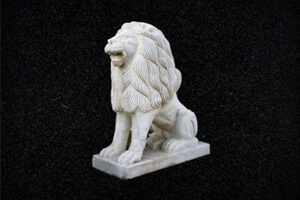 QM India, the leading name in natural stone crafts and supplies offers unique and unmatched stone sculptures, varying from a rustic traditional look to contemporary innovative look. Following are some of the artistic options from QM India that are produced at their very own workshops. The ancient craftsmen used sharp stone tools to carve their masterpieces. A wide range of tools was used in the sculpting process to produce varying results. This includes axes which were used to cut the basic shape, picks which were used to make deep grooves and flat chisels to add more delicate details. Raffs and rifflers were used to smooth the surface before the final polish is done. Most of these tools are even used today by modern sculptors. Apart from being one of the largest suppliers of natural stones in India and abroad, QM India has its expertise extended in the field of stone handicrafts, fountains, sculptures, and cobbles among other stone products. QM India’s craftsmanship is known for its unique, peculiar and antique styles applied in crafting a real beauty out of natural stones. The admirer of stones or design conscious people can choose from the unlimited stone craft options to decorate the property with an ultimate blend of nature and workmanship.